Born and raised in Karachi, I started to bake when I was 8 years old. I taught my first solo class at 17, which I thoroughly enjoyed. It soon made me realise it is a wonderful way to make friends; food shared is a special kind of experience. We moved to Dubai soon after I was married where I managed to organise cooking demonstrations. This made my 6 years in residence enjoyable and memorable. Moving to Canada, it made my resolve stronger to start the same, my happy way of making new friends who all enjoy cooking as much as I do. Supporting fundraisers and their charities through my demonstrations over the years has made it most cherished. Fortunately, my daughters enjoy cooking and eating, my husband is my source of truth and inspiration. My mum, a baker par excellence who does not hold back on her critical analysis has pushed me to excel. My brother, who started me off on this journey with positive encouragement, continues to be my ardent supporter. My aunt Villie fui, who has taught me so much, having shared her invaluable wealth of experienced knowledge has been to rely on with sincere affection. But nothing would have been possible without my dad’s real belief in me. The bribing, cajoling and unconditional love started me off on this journey for which there is nothing but loving gratitude. I miss him every day knowing that he is smiling down on me as he walks right beside me enjoying this journey! For my childhood friends who have always believed in me, thank you. 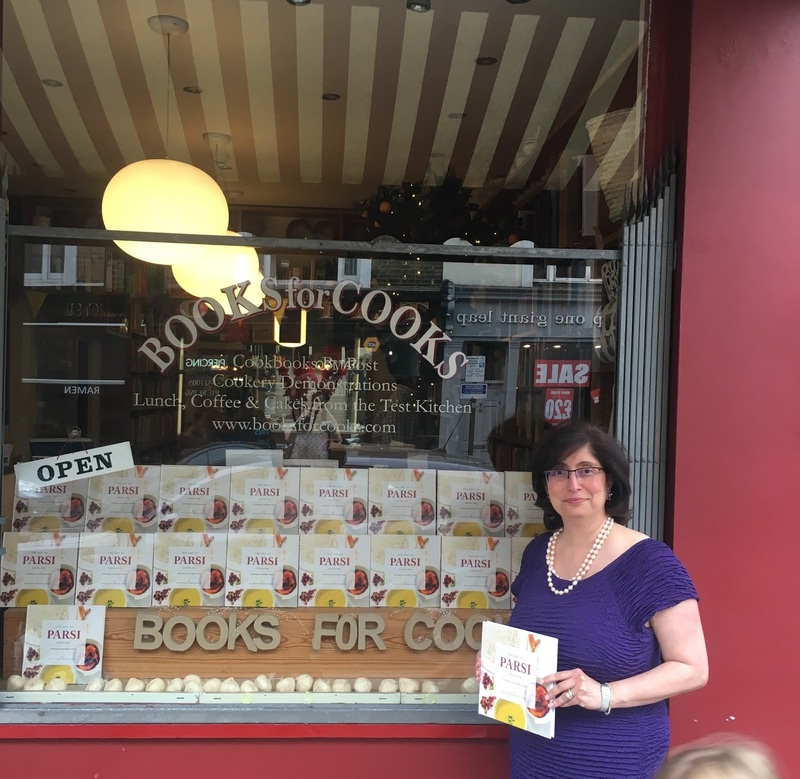 Decades of passion and teaching cooking have now prompted me to publish my cookbooks. With one successfully published cookbook in 2016 I am looking forward to the second one in mid 2019. My earlier experimentation of writing e- cookbooks continue to be available on kindle via Amazon. This technological approach was with the thought of keeping my young friends involved giving them easy and affordable access to my tried and tested recipes. I hope you get a chance to browse through my cookbooks and enjoy cooking from my recipes too. Most of my life I spent working at the Taj Mahal Hotel in Mumbai. Ever since then I started loving the Parsi Food. Would wait for an opportunity to get invited to any functions. Im glad I found your blog and will , start trying out your recipes. My favourite is Dhansaak, Salli Botti and Lagan Nu Custard. Thank you Marita, I have been lucky enough to have often visited your hotel on my annual trips to Mumbai. Having fallen in love with it, I finally managed to stay there with my hubby to celebrate a milestone birthday. It was worth our wait! 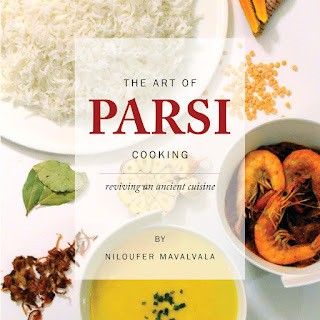 My first cookbook The Art of Parsi Cooking; reviving an ancient cuisine includes the Dhansak and Lagan nu Custard. While my second cookbook The World of Parsi Cooking: Food Across Borders has the Salli Boti. I hope you will get a chance to order a copy or download it as an e-book. Do not hesitate to email me if I can assist you in anyway to get a copy or guide you through any recipe. Warm regards, Niloufer.